Here is why you need to Visit Zagreb. 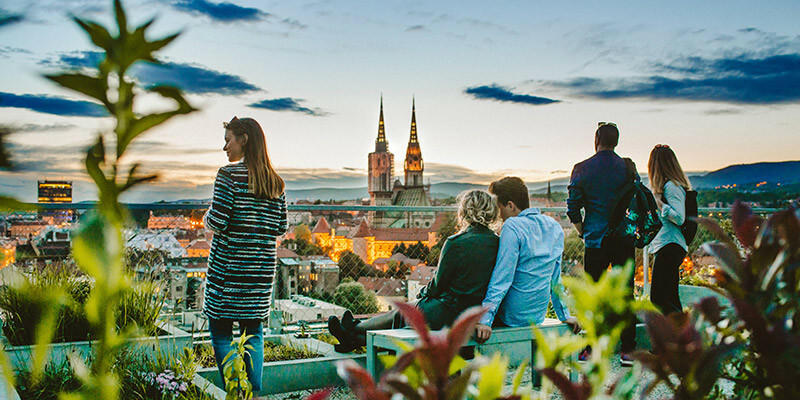 The top reasons which make Zagreb stand out. The real question is not if it’s worth visiting, but how long you should stay! I live in Zagreb all my life and I truly wish you come to Zagreb and experience it for yourself. The Croatian Capital is perfect for exploring as it is laid on a relatively flat surface. That is why it can be easily explored on foot, or by bike. If you believe you have nothing to do in Zagreb for more than a couple of days, think again. Not only is Zagreb filled with a full range of diverse sights and attractions for everyone. But also it is surrounded with truly exceptional sights. Within an hour and a half drive, you can be sipping coffee at the Adriatic Coast, hike Plitvice Lakes, explore Croatia’s Castles or experience truly local and exceptional food at one of Croatia’s Village Family Households. This whole guide is one big Tip on what to do in Zagreb. It’s not just a city to be passed by, it’s a city to be lived! Once I started this guide I thought to mention 10 top reasons to Visit Zagreb. However, once I started writing I just kept going… I made it 15 so not to overdo it. I did not mention it, but we also have amazing Ice Creams, Schnaps and exceptional local designers. Trust me there is so much more! If we go even beyond Zagreb, you can easily spend a couple of weeks and you will not regret it. Although we have an Upper Town and Lower Town, Zagreb is actually situated on a relatively flat surface. Most of its attractions are condensed close by. Zagreb Upper Town holds most of Zagreb most known attractions and if you would merely walk it, you can see everything within a couple of hours. I recommend this if you haven’t got the time to explore, but Zagreb Upper Town holds some truly Unique Gems and it is a shame not to explore them. You all know of the Zagreb Cathedral, Saint Marks Church, Lotršćak Tower, etc. But what you can also see is Meštrović Atelier, Museum of Broken Relationships, Zagreb City Museum, Croatian Museum of Naive Art and so much more. This is just the tip of the iceberg. On the other hand, you have The Lower Town. The place where the Croatian National Theatre is situated. Alongside Mimara Museum, Museum of Arts and Crafts, Technical Museum Nikola Tesla. The place for great bars, pubs and restaurants. And by far the best thing is both of them are very close by and easily explored. I mean they are connected by the shortest Funicular in the world. What we did not go into if you scratch the surface a bit more and explore a bit further. Zagreb ZOO and Maksimir Park, Museum of Contemporary Art, Lisinski Concert Hall, Zagreb Fountains with their evening show and even beyond. Zagreb truly is compact and perfect for exploring! When I say “our”, I mean whole of Croatia. This is the one thing we all agree on and enjoy. We take our coffee seriously and enjoy it immensely. Just stroll through the streets of Zagreb during warm and sunny days and take notice to the cafe terraces. They are filled with people, friends and families. Talking about current affairs, gossiping politicians, going through their problems. It’s a time that connects us and although you might not think it, time well spent! 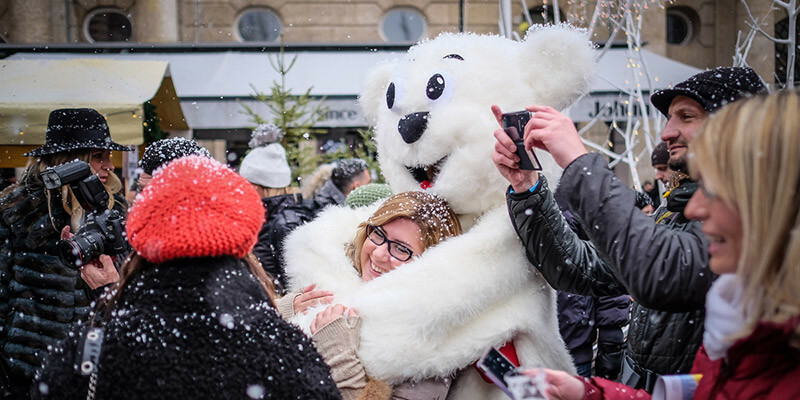 If in Zagreb, or Croatia, do it like the locals. Sit down with your entourage, get a drink and make most of your time! Zagreb, although over 900 years old, is constantly developing. New types of attractions and locations keep popping out. Unusual and Unique spaces which give you a new type of experience. The Museum of Broken Relationships is not some much a museum of broken loves, but most of all a museum of Emotions. Zagreb 80’s Museum will take you back in time to experience what life was like in the 80’s. Backo Mini Express will bring out your inner child, wanting you to play with toy trains again. Zagreb has it all. Both the classic and unique attractions. It only depends on what you’re into. When in Zagreb you have to pass by Dolac Market. It is the largest Open Air Farmers Market in Zagreb. Locals display and sell their homegrown goods. Actually, you can find almost anything there. But I suggest you take a stroll and look at the souvenirs, local vegetables, meat, cheese, also from all over Croatia. It is by far the best place to find Local Croatian Produce. Don’t get me wrong they have imported goods as well, but mostly you will be able to find great Croatian products. Croatia is just starting to place itself on the beer and wine world map. As the capital, it is also the best place to find and try it. The latest burst in local craft beers can be found at pubs and bars. Where the best wines can be found at our restaurants. If you like it and wish to take some back home (if you can), there are several specialised wine and craft beer shops in the city. One thing I can say for certain that Zagreb is bursting with restaurants and flavours. The best of all, you will have difficulty choosing the best one. Zagreb is in the crossroads between east and west has a mixture of continental and Mediterranean cuisine. You can find both fusion options and traditional restaurants all over the city. Craving vegetarian, burgers, barbecue, pizzas or fish. Don’t worry Zagreb has you covered. I love hiking Medvednica, Zagreb Nature Park. It is basically a forest retreat at your fingertips. It helps me relax, get inspiration and having a great time with my family. Although our cable car has been dismantled and we are looking forward to our new one, the Sljeme peak is just 1000 meters high. We have forest paths of all difficulty types so anyone can get to the top. If you really believe you can’t make it there is a public bus going straight to the top. Whilst hiking to the top you will breathe in fresh air and be presented with some amazing views of Zagreb and its surroundings. Nevertheless, there are numerous Medvednica Mountain lodges all over Medvednica. It is by far the best place to experience real Croatian highlander food and coffee. Just don’t climb on Mondays as most mountain lodges are closed. Zagreb Gardens and Parks are perfect places to relax, go for a stroll, have a picnic and even sunbathe. They offer the perfect place to escape the summer heat and sneak in a kiss with your loved ones. Maybe you heard of Zagreb Lenucci Green Horseshoe? It is actually a vision of Milan Lenuci as a park system which consists of seven squares aligned on three straight lines. Basically, it is a U-shaped system of parks and squares in the Lower City. One of the best routes for exploring the city. Did you know that Zagreb has the biggest number of museums per capita in the world? I’m not surprised as Zagreb Museums provide a wide variety of treasured wonders. From the classic and traditional to the contemporary arts. All the way to the latest interactive exhibitions. As the city is and always will be at the intersection between East and West it lives and breathes history. Unfortunately, we had our fair share of invasion forces and the only benefit from it is the heritage and knowledge they left behind. Most of which is preserved at our museums. I must say, Zagreb Architecture truly offers a genuine mixture of the past and the present. On one side Austro-Hungarian architecture and on the other rough-around-the-edges socialist structures. In the Upper and Lower Town, you will see the highest influence of neo-Baroque. This part of town has been developed during our period under the Austro-Hungarian rule. But just across the railroad which splits Zagreb between styles, you can find the socialist, communist, part of Zagreb. Basically, to summarise on the north, you have the older parts of Zagreb with its Gothic and Neo-Renaissance styles. And on the south side, you have the socialist, communist part. Be that as it may, today you will find modern architecture popping up all over. Regardless of the former development stages. The world has stated that Balkan women are the most beautiful in the world. And I have to say Zagreb doesn’t fall short. As a man, I can only claim that Zagreb has beautiful women. I can’t judge men objectively. Regardless, I find all Croatian people beautiful in both soul and physical appearance. 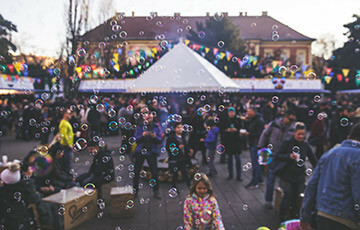 Zagreb is becoming a centre stage for numerous Festivals and Events. Even though the city isn’t big, something is always happening. In fact, you have events all year round. Even during winter when we have the best Advent in Europe. The city wants to place it on the European Festival and Event map and I believe we are either getting there or we are already there! Zagreb is cheap and one of the most budget-friendly cities in the world. It is filled with free and budget-friendly attractions and activities. In fact, you can experience our Top 15 Attractions for just 11 EUR (80 HRK + Public transport ) per person! Don’t get me wrong, I want you to explore and live Zagreb as much as possible. I’m just saying you don’t have to wait for special deals or offers as Zagreb is cheap. The city is mostly about the locals and local life. 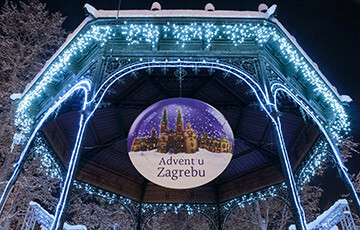 Zagreb Attractions are either free or priced for Croatian standards. Looking for a place to eat, don’t worry most of them offer meals for up to 15 EUR. Zagreb is a great city to visit or to live in. It is safe and I find its size being an asset as you can easily get around and explore the sights. There is always something going on, whether a festival or event, you just need to come and experience it. Zagreb is a perfect mixture of Balkan and Mediterranean spirit with a touch of a Western feel. Don’t expect grandeur, expect local! We are charming and straightforward. Willing to help and once we smile its catching. Were open and welcoming as hospitality is an essential part of our history and culture. Once you arrive in Zagreb it feels like visiting an old friend. We love to talk and laugh. Don’t get me wrong we aren’t always polite. I would describe us as sincere and we don’t worry about courtesy. I can say one thing is certain. We are always up for coffee, a glass of wine or a shot of rakija. I truly hope we answered your questions and gave you reasons to visit Zagreb. We all love our city and cherish it deeply. Share this article with your family and friends. Let them know what Zagreb is all about.